Our gallery specializes in unique Asian antique furniture collected as a result of our global travel in the 1990s when exceptional pieces emerged in their native lands. Our collection came directly from these countries. We were interested in collecting unique antique furniture because such ancient pieces have a history, culture, and story to tell. 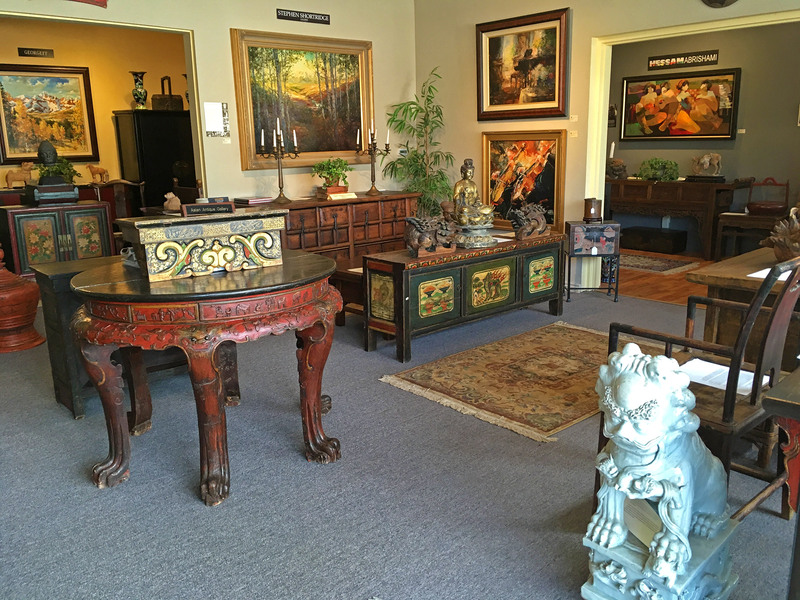 Our passion for quality and authenticity resulted in acquiring special pieces from Asian antique dealers who are experts and became not only our advisors but also teachers. We picked pieces that can transcend time and represent the ideals of the old masters and literati: Dignity, Simplicity, Structure, and Balance. 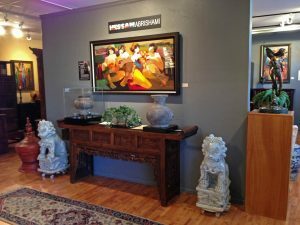 After collecting Asian antiques for over twenty years, we believe we have amassed one of the largest collections of unique furniture and artifacts dating from Yuan, Ming to Qing dynasties, as well as rare pieces from Korea and Tibet. Many of our antiques are certified or can be authenticated by antique experts. We do not consider any of our furniture an antique unless it is over 100 years. 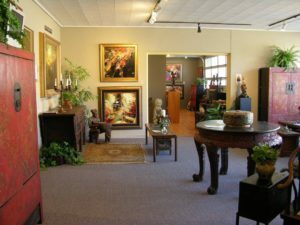 Our fine art is predominantly original paintings, with a few reproductions and bronze sculptures. 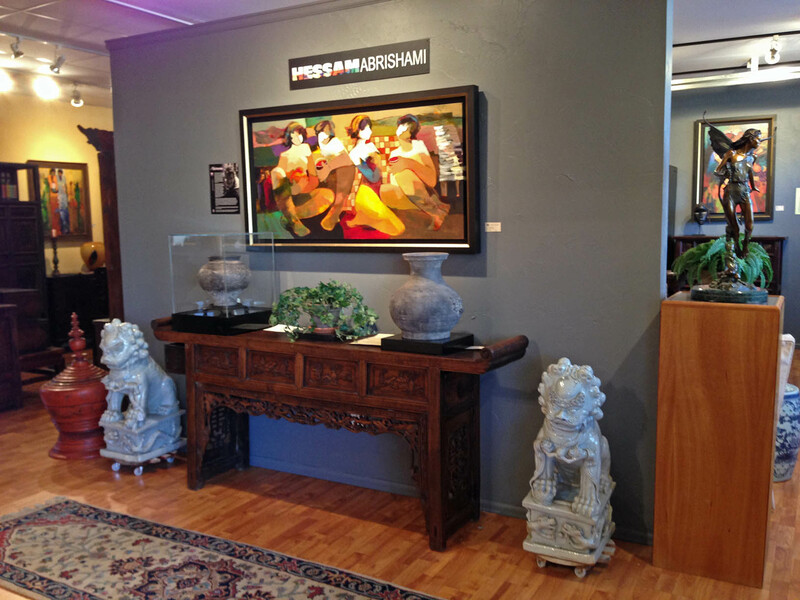 Our collection is from nationally and internationally known artists we met in International Art Expos and abroad. We believe our eclectic collection of fine art and antiques not only can give buyers an opportunity to create a personal, warm, and welcoming interior in their homes, but can also offer a different slant on a modern interior that sometimes seems a little slick and shiny. We believe the mixing of culture, style, texture, and colors can create a modern and timeless look and hope the buyers of our collection can achieve that goal. 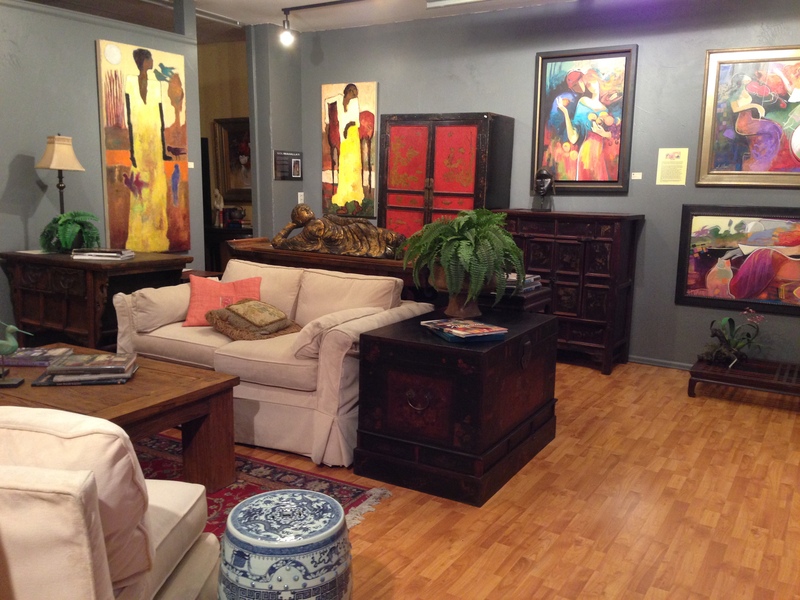 We show examples of what can be done with age-old furniture and fine art in a contemporary setting. In addition to items shown online, we will continue to show more from our private collection, consisting of more unique pieces we would like to tell you about on inquiry, and would consider to show part of this collection in exhibitions if a reputable institution is interested. We already have done research and wrote about many of these pieces in catalogs. 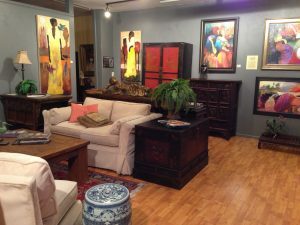 If you’d like to know the price of any item in our gallery, please don’t hesitate to contact us! As for payment, we are able to accept cash, checks, debit and credit cards (Visa, Mastercard, American Express, Diners Club, and Discover). Also, given the unique and sometimes delicate nature of our items, each item will have unique shipping requirements. Rest assured we use a very reliable local business to handle shipping and will discuss all of the specifics with you.